Comfortable and adaptable, our Blue Wave bathing system is designed to make bathing a more relaxed and pleasant experience for both client and caregiver. Comfortable and adaptable, our Blue Wave bathing system is designed to make bathing a more relaxed and pleasant experience for both the user and caregiver. 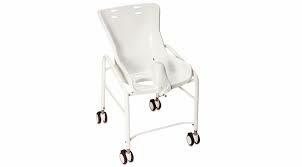 It provides a stable, cushioned yet quick-drying seat for bathing in or out of tubs and showers. 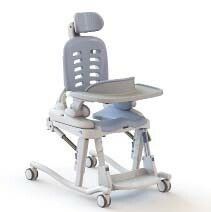 The Tub Stand is used with any size of bath chair, and raises the bath tub chair to a working height, allowing for safer transfers and safe bathing above the water level where this is necessary. 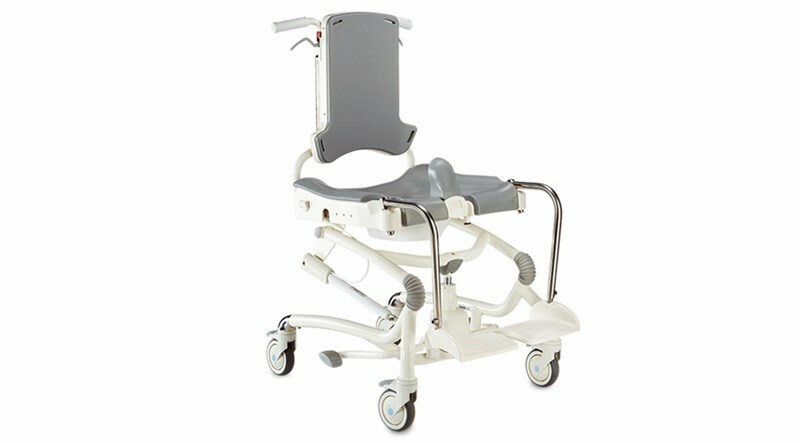 The Shower Stand makes the bath chair into a shower chair at caregiver standing height, and has casters that roll easily into the shower. The Blue wave is able to clip on a number of different bases- depending on your clients needs. 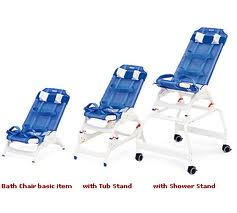 A Tub Stand– is used with any size of bath chair, and raises the bath tub chair to a working height, allowing for safer transfers and safe bathing above the water level where this is necessary. A Shower Stand– makes the bath chair into a shower chair at caregiver standing height, and has casters that roll easily into the shower. The blue bath chair fabric ‘skin’ can be removed for machine washing and for cleaning of the chair’s white plastic frame. To remove it, simply fold the seat and backrest to the most vertical position and remove the fabric by pulling upwards. 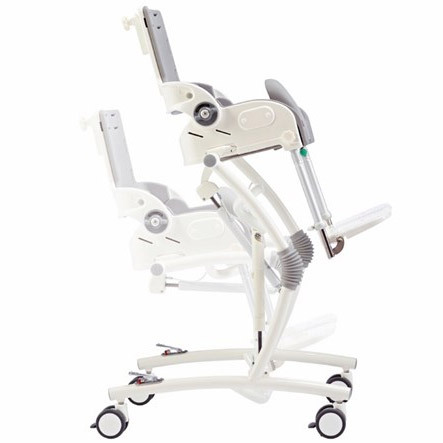 Height Adjustable, adjustable angles, easy adjustments. Please provide the name and quantity of the products you need a quote for.